Are Workers' Compensation Benefits Taxable? | Merkel & Cocke, P.A. Home/Workers’ Compensation/Are Workers’ Compensation Benefits Taxable? For the most part, injured workers do not have to pay federal income taxes on their injury awards, whether they’re from a comp claim or a lawsuit. Work injury benefits essentially include payment for medical bills and 2/3 of their lost wages. The medical portion is payable to the physicians and not the worker. The health care provider (hospital, doctor, or therapist) pays taxes on the sums they receive for providing a service. The wage benefit portion is normally not subject to a federal income tax, nor a state income tax. While the wages are based on the worker’s income prior to the accident or occupational illnesses, the worker generally doesn’t pay taxes on them if they are compensation for a workplace injury or disease. There is one complicated exception. Your Mississippi workers’ compensation lawyer can explain it in detail, but the gist is there is an exception arises for workers who are awarded Social Security Disability Insurance (SDDI) payments or Supplemental Security Income payments (SSI). The exception is known as the workers’ compensation offset. Typically, you cannot collect both Disability and workers’ compensation. This is because workers’ compensation is supposed to be a temporary program, and SSDI is for those whose injuries keep them form being able to do work at all. If you are collecting workers’ comp, the logic goes that you must be able to do some kind of work, and therefore you must not be disabled. Your workers’ compensation income benefit and your SSDI/SSI benefit are added together. You are assigned an “average current earnings” amount based on several factors. Essentially, this is the amount of your pay before you were injured. If your combined wages are below 80% of your average current earnings, then there’s no problem with collecting compensation from both programs. If your combined wages are more than 80% of your average current earnings, then some adjustments are required. In most states, the payments from Social Security are reduced to the 80% threshold. In some states, the workers’ compensation payments are reduced. 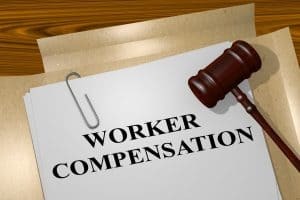 Mississippi does not reduce the workers’ compensation amount which means that injured victims should get their full worker’s compensation pay – but may not get their full SSDI/SSI pay. The amount of the offset (the reduced income payment) may be taxable even though you’re getting less money due to the reduction. Any legal fees, past and future medical bills, and money for dependents are not considered when calculating the 80% figure. The offset continues until the worker reaches their Social Security retirement age. One additional complication is for workers who receive a lump-sum settlement. Many workers, once they have reached maximum medical improvement, work with their lawyers to get everything they’re due in a lump-sum instead of monthly payments. Social Security will review the language of the lump-sum agreement and then make a determination as to how much of an offset will be applied to the SSDI/SSI payments, in light of the settlement. Skilled drafting can help reduce the amount of the offset by emphasizing that the settlement applies to the workers’ lifetime. It helps to specify the monthly workers’ compensation benefit even though payments aren’t being paid monthly – they’re being paid in one lump sum. When the worker returns to work, his/her wages will be considered taxable income. Some workers on light duty receive a paycheck (which is taxable) and a workers’ compensation check (which is not taxable). Any retirement benefits the worker receives may be taxable. The Mississippi work injury lawyers at Merkel & Cocke, P.A. are experienced with all parts of a workers’ compensation claim. This includes permanent, partial, and temporary disability. We advise workers on their right not to be forced back to work until they are healthy. We negotiate lump sum settlements. To understand your work injury benefits and rights, call us at 662-799-1633 or fill out our contact form to speak with a lawyer at our Jackson, Clarksdale, or Oxford offices.